Marking its debut in 2013, the QX60 from the house of Infiniti has gained commendable accolades. 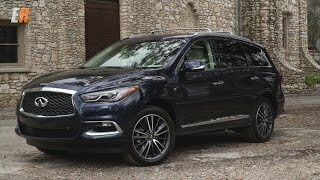 The recently shared Infiniti QX60 2016 at 2016 North American International Auto Show received a mid-cycle refresh for better comfort and customization. 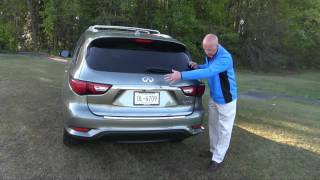 Let us have a look at the revised model, through the review of Infiniti QX60 2016 in detail. The interior of Infiniti QX60 2016 received numerous updates but you might need an eagle’s eye to find them. Starting with the cabin, you’ll notice the new smoother leather wrapping over the instrument panel while the gear shifter too gets small updates. The dashboard features the same vertically arranged controls while over them is the touch screen infotainment system. There is an Advanced Control System with Plasmacluster air purifier as an option. Moving towards the second row, the seats are comfortable and can be folded to expand the cargo space. They can also be reclined to up to six inches for better comfort. Last but not the least the model has monoroof as optional while the panoramic moonroof is as an option to invite some fresh air inside. 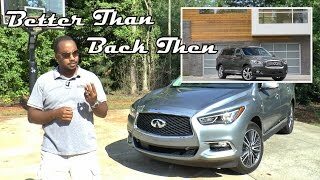 Thus rounding up the interior details of Infiniti QX60 2016 all I would say is comfortable and spacious. Just like the interior, the exterior of Infiniti QX60 2016 receives minute touches. Starting with the front fascia you can notice the redesigned grille sitting amidst the updated bi-xenon headlights featuring LED accents and integrated daytime running lights. Beneath is a set of LED fog lights on either corner while the centerpiece is a massive air vent delivering fresh air to the engine. Talking about the familiar inclusions, we have the ‘double-wave- hood and sloping roofline. Moving towards the rear fascia, things are pretty similar. We are talking about the curved beltline and the rear bumper while the chrome trim over the door handles and the redesigned taillights are blend of an inclusion. 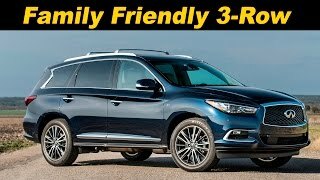 Thus rounding up the exterior details of Infiniti QX60 2016 I would just say, that though with minute upgrades but yes those included add commendably to the looks. 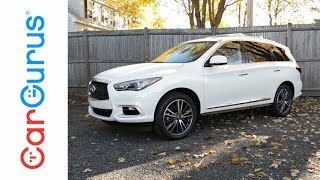 There are two powertrain options beneath the hood of Infiniti QX60 2016; the first one is a non-hybrid version that is a 3.5 liter V6 engine generating total output of 265 hp and peak torque of 336 nm while the second one is more economical hybrid version powered by a 2.5 liter four-cylinder engine and a Lithium-ion battery generating total output of 250 hp and peak torque of 329 nm. The performance figures of Infiniti QX60 2016 are still not disclosed but expect a family output delivering fuel efficiency.